The World Oil Supply Clock is available as a WordPess plugin or a simple line of code that can be added to any website. The WordPress plugin benefits from a full control panel allowing users to change font colors and items to display. Or simply copy the following line of code into your web page. 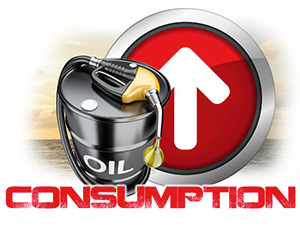 Economic Slowdowns: Much of global oil use is linked to economic strength. In a depression or recession, most nations would use less fuel, whereas when economies are strong, they use more. New Finds: New discoveries of potentially recoverable deposits add hope to the total potential supplies of global oil. Alaska, for example, and much of the Arctic, hold potential reserves which could be added to the global inventory. In cases where recovery is currently problematic, new technologies and increasing desperation may be required before the underlying reserves are harvested. 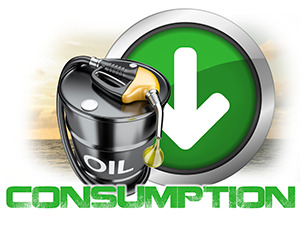 According to the Institute of Mechanical Engineers, there are 1.3 trillion barrels of proven oil reserve left in the world's major fields, which at present rates of consumption should last 40 years. This differs only slightly from British Petroleum's own estimates.